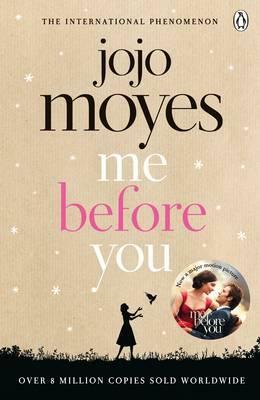 Me Before You by Jojo Moyes – Spoilers – PINKKLOVER. When I first saw the trailer featuring Sam Claflin and Emilia Clarke (2 of my fave people), I was in love. I repeatedly watched it for days. But as I was quite impatient and couldn’t wait for the movie to come out in 2 months, I went to buy the book and finished it within a day. A beautiful story that is not entirely about romance (though I predict the Hollywood movie will dramatise it). It makes you think and ponder on people’s life situation. How we have no right to judge on someone’s choice as we don’t know what they’re feeling nor their history. And how it is cruel to take away choices from someone even when they’re a quadriplegic. IT was heartbreaking. Just knowing that Will’s life is probably someone’s right now and how they must be feeling, considering suicide and all. I guess, a grown up man who’s very independent and adventurous would not succumb easily to being looked after 24/7 nor be treated like a little child by his mother. But I love all the characters in this book, albeit Patrick is a jerk and douche who’s so concerned on his physical attraction and Katrina, who can be quite selfish at times. Nevertheless, the humour and wittiness from both Louisa and Will are quite likeable and makes this novel seem so realistic especially when we’re so exposed to their raw emotions, their fears and personal insights. This novel was quite easy to read due to its simplistic style which quite the opposite of the text I’m currently reading for uni (Millenium Hall by Sarah Scott). So it was refreshing and the ending was quite blissful. Although Will dies in Switzerland, breaking his family’s and Louisa’s heart, I feel like all the characters are now at peace with themselves. So there is a sense of satisfaction that there are no loose ends and it is a different type of a happy ending.